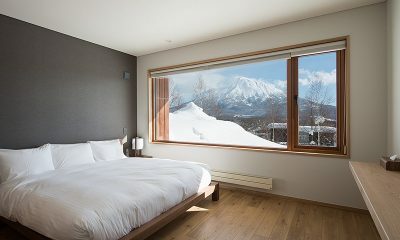 Tokubetsu is a funky and stylish chalet with epic views of Mount Yotei, close to the ski shuttle and restaurants. Payment is made using the villa’s preferred currency (usually USD). The amount displayed is indicative and based on today’s exchange rate. 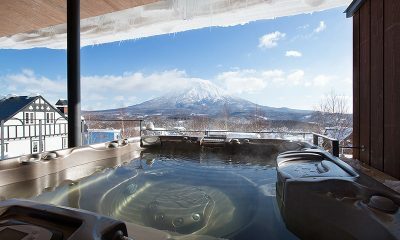 Tokubetsu is blessed with some of the best views of Mount Yotei you’ll find anywhere in Niseko. 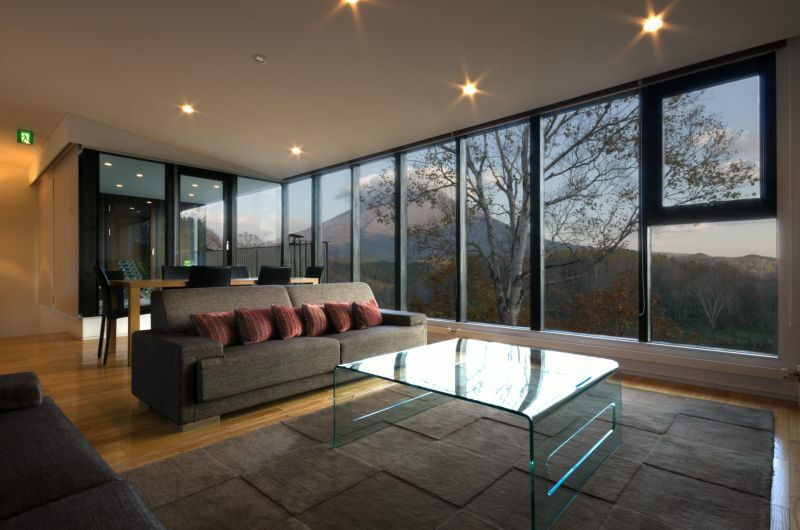 This three-bedroom chalet is built over two floors and the floor-to-ceiling windows provide endless natural light and epic mountainside views throughout. 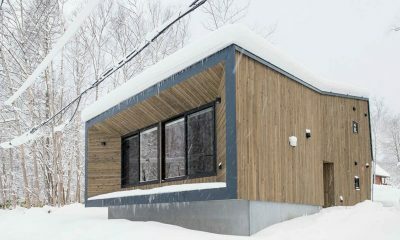 The stylish chalet has a design inspired by Japanese minimalism and offers a convenient location close to the ski shuttle stop and great restaurants, but still offers plenty of privacy. 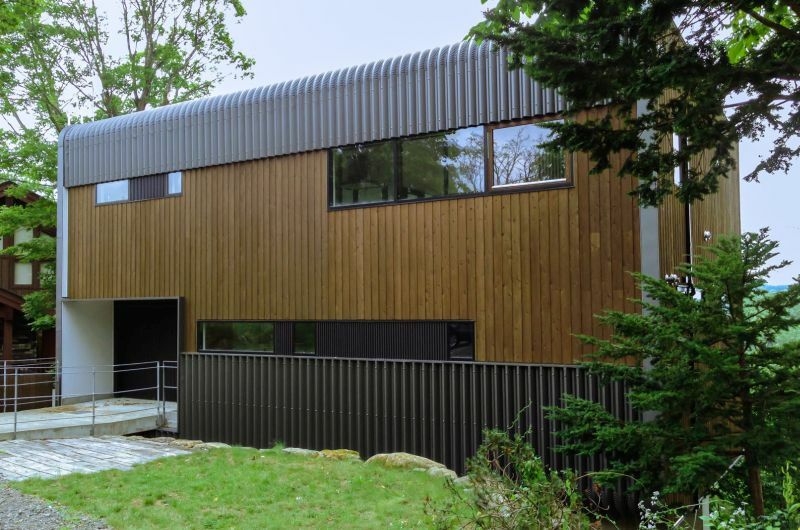 Please note that this chalet is not suitable for children below five. Contact our Villa Specialists to find out if your dates are eligible for our Last Minute and Early Bird discounts. 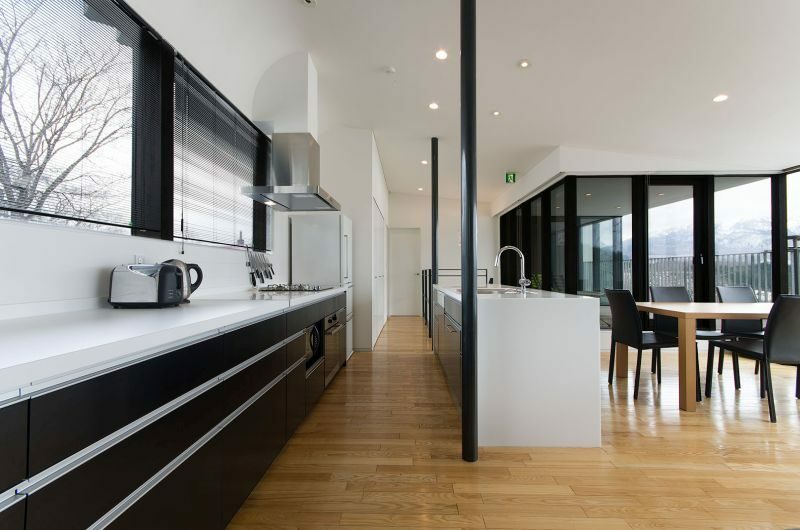 Tokubetsu boats immaculate modern design throughout and offers a wonderfully uncluttered feel with décor inspired by Japanese minimalism. 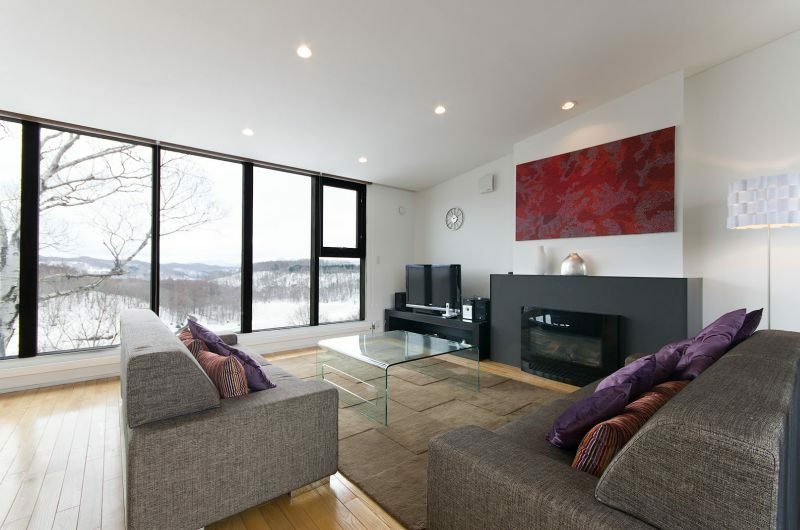 The floor-to-ceiling windows and upper floor balcony offers amazing views of Mount Yotei. 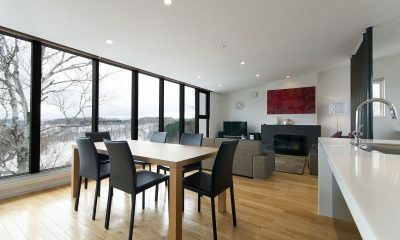 The spacious second floor living room has huge glass windows offering great views overlooking Hirafu. 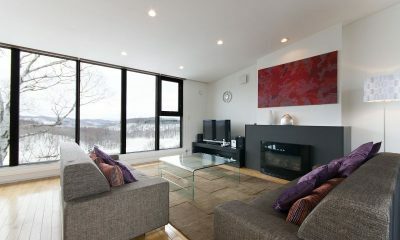 The room is furnished with a comfortable sofa, gas fireplace and a flatscreen TV. The dining table sits next to the living room sofa surrounded by glass windows and seats six. The dining area extends to an open-plan western style kitchen. 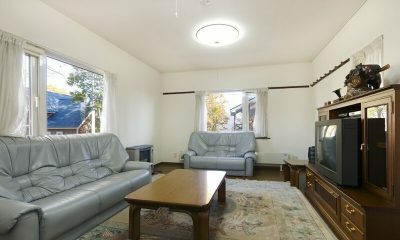 Tokubetsu has three bedrooms, all with a split bed that can be set up as a king-sized bed or two singles as needed. There are two bedrooms on the ground floor and one room upstairs on the first floor. There’s also a study room that may used to accommodate two extra guests on futons. 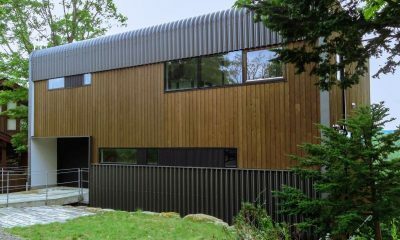 The first bedroom is located on the ground floor. 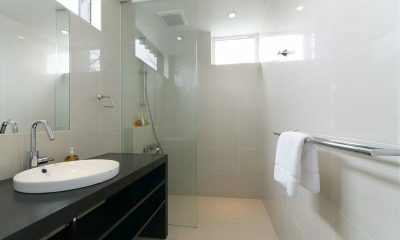 The room has a king bed that’s convertible into two singles and a shared bathroom with a bathtub and shower. The second bedroom is located next to bedroom 1 on the first floor. 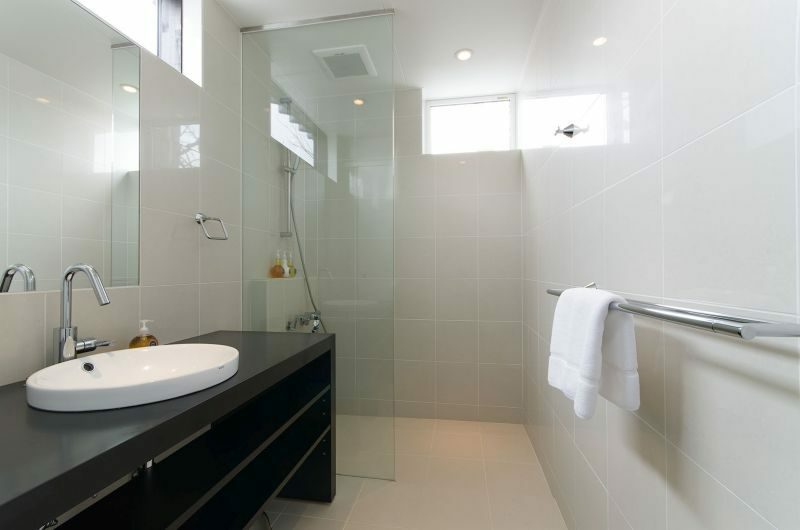 This room has the same split bed configuration and shares the bathroom which has a bathtub and shower. The third bedroom is located upstairs on the first floor next to the living room. 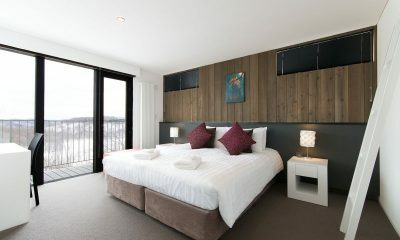 The room has a king-sized bed that’s convertible into two singles and an ensuite shower room. 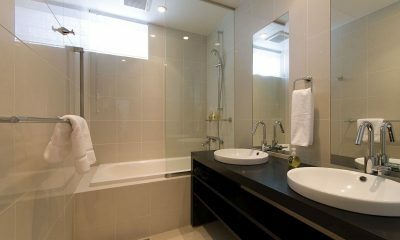 The separate toilet is located just outside the room and also services the living areas. 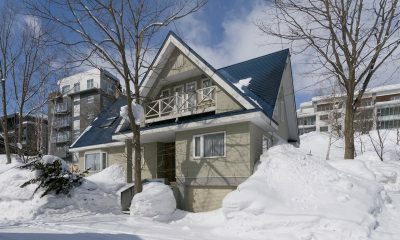 Tokubetsu is a three-bedroom chalet with two floors. 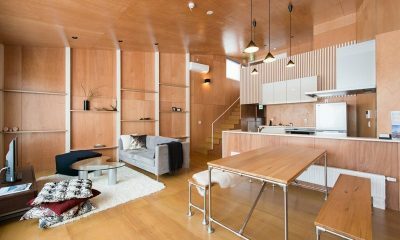 The ground floor includes two bedrooms and a study room that may be converted into an additional bedroom with two futons. 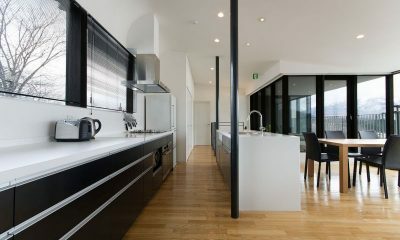 Upstairs on the first floor you’ll find the open-plan living and dining room and one more bedroom. 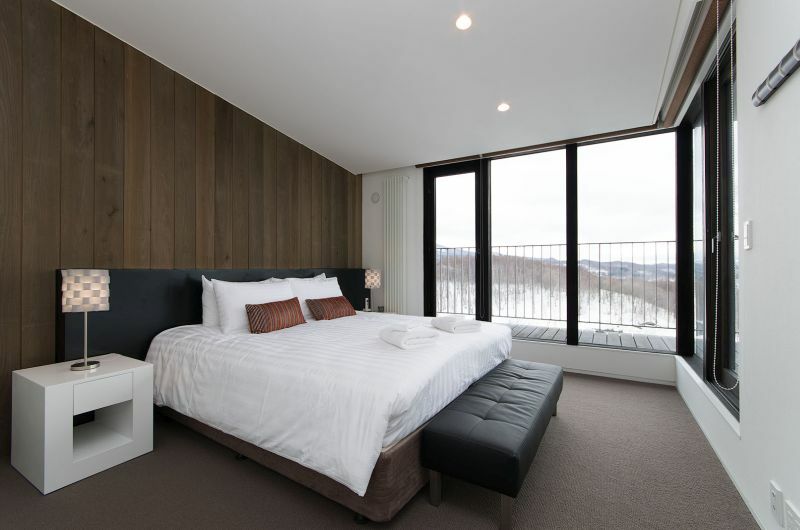 This floor also has a balcony with terrific views of Mount Yotei. 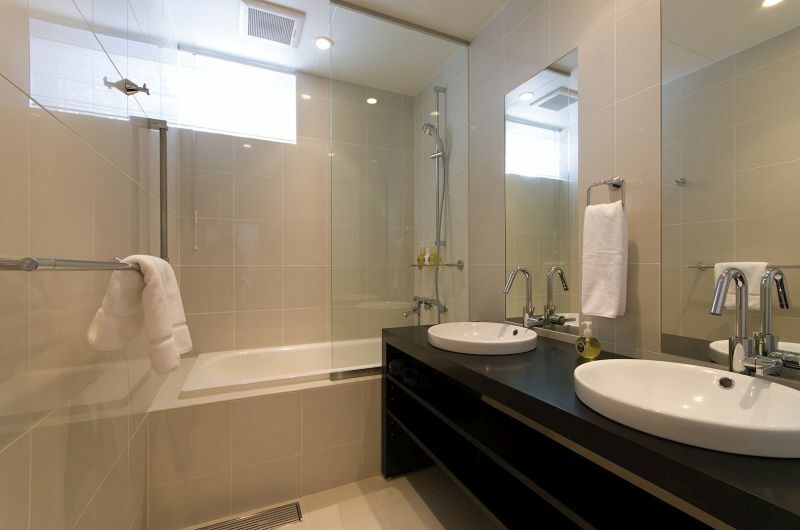 Your stay is made enjoyable by the professional staff who have been professionally trained and will do their utmost to please with their warm and friendly hospitality. 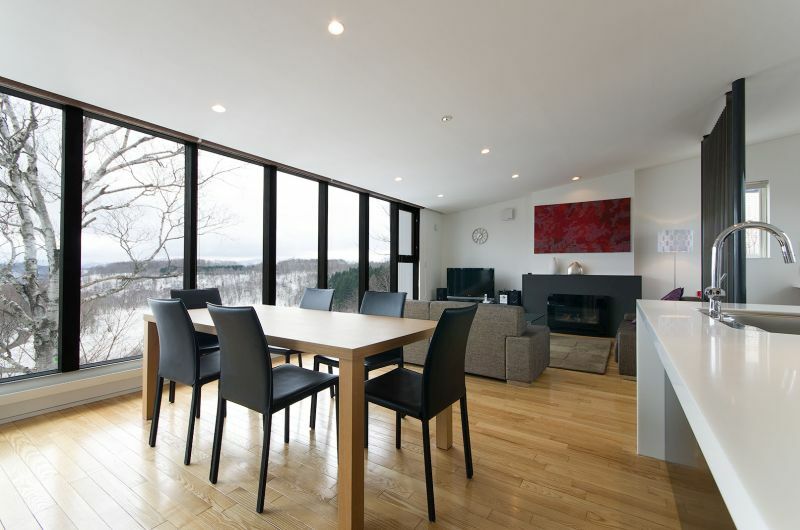 The chalet’s experienced and knowledgeable manager is responsible for the overall operation of the chalet. The property manager will oversee and coordinate the staff and property and assist you during your stay. 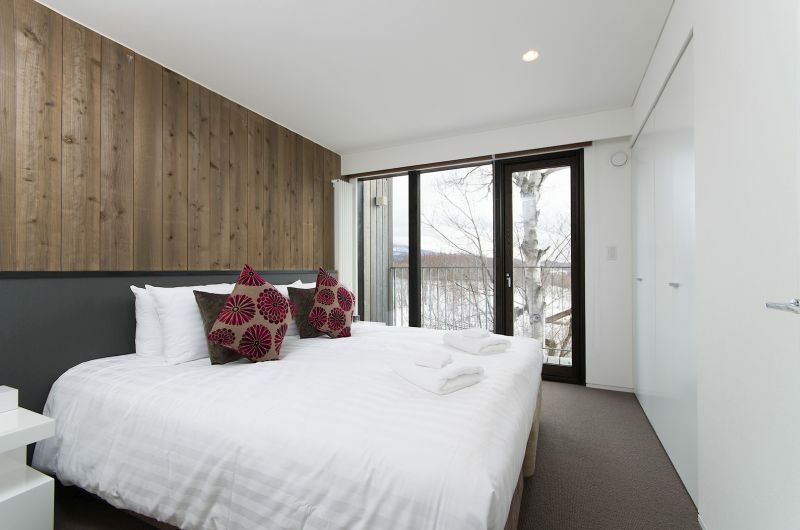 Our chalets in Japan often have housekeeping 1 – 2 times per week depending on the property. Each chalet will have their own cleaning schedule. 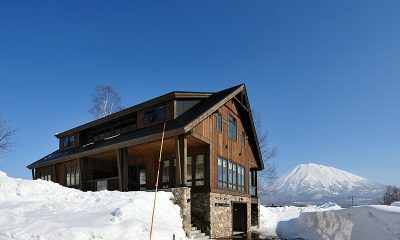 Tokobetsu is located in Lower Hirafu Village in Niseko. 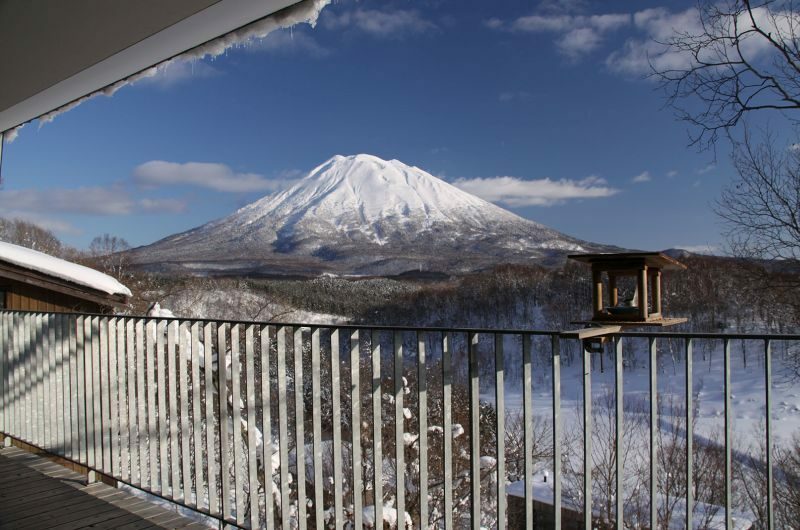 This area offers a peaceful setting and great views of Mount Yotei. The closest ski shuttle stop is just three minutes away, which makes getting to the slopes a breeze. There are bars and restaurants within walking distance of the chalet and the ski shuttle service offers easy access to even more options. Click on the “Check Availability” button below and view live rates and availability for your dates. To book click on “Book Now” and follow the steps. Ministry of Villas accepts Visa, MasterCard, Amex, PayPal or bank transfer. Once your payment has been processed, we will send you a booking confirmation via email. Our rates include Government tax and services. Other websites add this on at the end of the booking! We offer the best rates online and offer a price guarantee to prove it! Views, views, views! 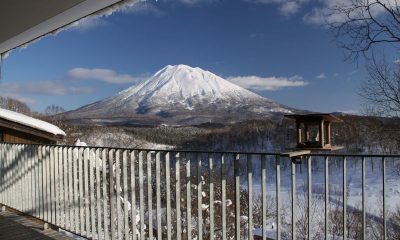 Yes, this property has some of the best views in Hirafu of the stunning Mt Yotel. 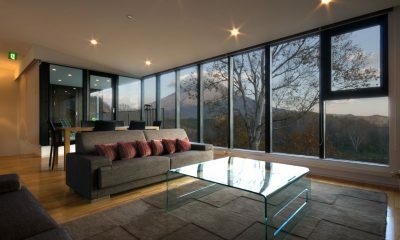 Kazahana is a cool modern chalet with real wow factor, offering views of Mount Yotei from an outdoor Jacuzzi in Hirafu. 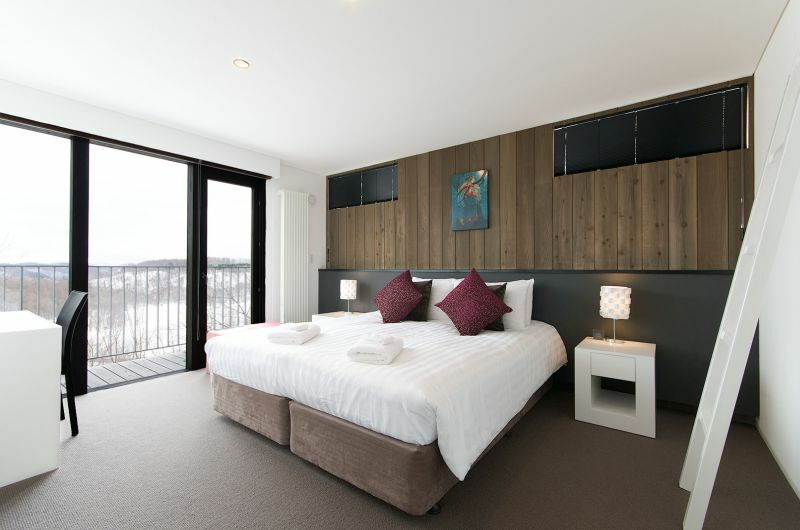 Powderhound Lodge is a great value chalet offering all the essentials and a central location close to the slopes and restaurants. 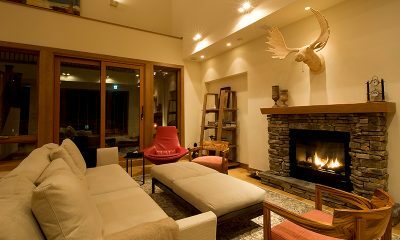 Heiwa Lodge is an unconventional, Hong Kong-designed chalet that rests in a peaceful forest setting on the outskirts of Hirafu. 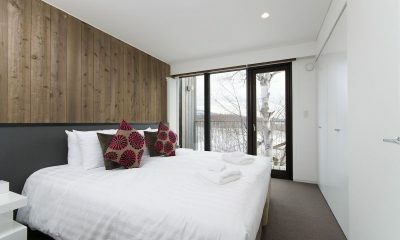 Annabel is a luxurious chalet with a media room, pool table, kids’ playroom, sauna and Japanese bath, surrounded by nature but close to the action. WordPress Cookies WordPress sets a couple of cookies that track logged in users and store user preferences set in their WordPress user profile. These are set for members of the Ministry of Villas website only - members of our staff. Facebook Set and used by Facebook, used for targeting advertisements and promoting content to users who have visited ministryofvillas.com. Marketing cookies help us target our ads better. We mainly use them to target ads to users who have visited Ministry of Villas.